I'm trying to get myself, my library, and my notes organized, so I've been looking at a number of library management tools. There are a number of dedicated programs like Endnote for bibliographic work, and there are integrated programs like Orbis, Ibidem, and IbidPlus which are wonderful to use within the Nota Bene word processing program. (If you are a regular NB user, I'm guessing this is already a no-brainer choice.) For simply creating bibliographic entries in a variety of formats, there is OttoBib. To organize your library, I've previously mentioned Amazon's YourMediaLibrary which is a helpful (especially if you buy a lot of stuff from Amazon) but limited organizer. LibraryThing is a much more versatile offering, and I like the way it looks and the social aspects of the site, but it really isn't intended to be a bibliographic tool. While free for 200 book listings, the cost ($10/yr or $25 lifetime) is not prohibitive either. Zach Hubert (of Zhubert > The Resurgence Greek Project fame) has recently released ShelfServant. It is similar to LibraryThing for cataloging, but it doesn't have quite as many extra features. What it does have, however, is an easy way to keep track of books you loan and a one-click export of all your bibliographic data to an Excel spreadsheet file. You could use this to add notes. ShelfServant is free for 100 books with minimal costs to expand your collection. Oh, to buy all those books you want, don't forget the "Book Burro" addin for Firefox I previously described! 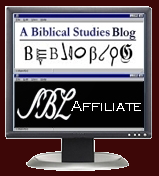 Bottom line: If you use NotaBene, Orbis and Ibidem are the way to go. Otherwise, I think Zotero is going to be my tool of choice. If you have other or favorite research management tools, let me know! Thanks for the info. I have installed Zotero and I love it!